With the warmer weather coming around and actually staying, I've been breaking out all kinds of beverages that I can drink and relax with on our patio. By now you all know that my smoothie phase has been in full effect and I've been trying to create so many delicious drinks not only that I can enjoy, but also that my kiddos can enjoy as well. One thing I know for sure is that while I love creating and making my own drinks, I love already made drinks as well, especially when I’m on the go and in a hurry. I love that I can just pour a glass and enjoy and still get the benefits of drinking something healthy. That’s where SunRype comes in. I’m sure you've either had a glass of their delicious beverages before or you've seen them at your local stores in the juice section. Well, I’m a huge fan of SunRype. I've actually been drinking their many different flavoured, delicious drinks for years. Not only can I drink this in place of one of my smoothies I make, but now with Slim by SunRype, you can drink their beverage without feeling guilty or worrying about the calories with 10 calories per 250mL serving. 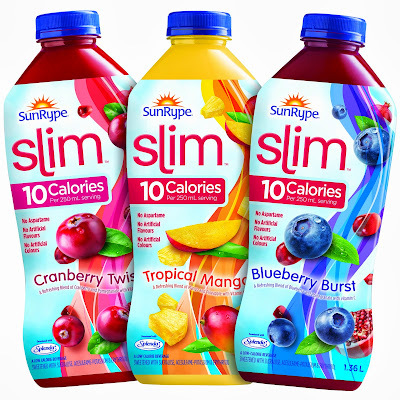 Slim by SunRype is a delicious fruit beverage that combines real fruit juices with only natural flavors and a sucralose blend designed to deliver more natural fruit taste. They contain no artificial flavours, no artificial colors and no aspartame. SunRype has been a brand that I have trusted and that I feel comfortable giving to my family. 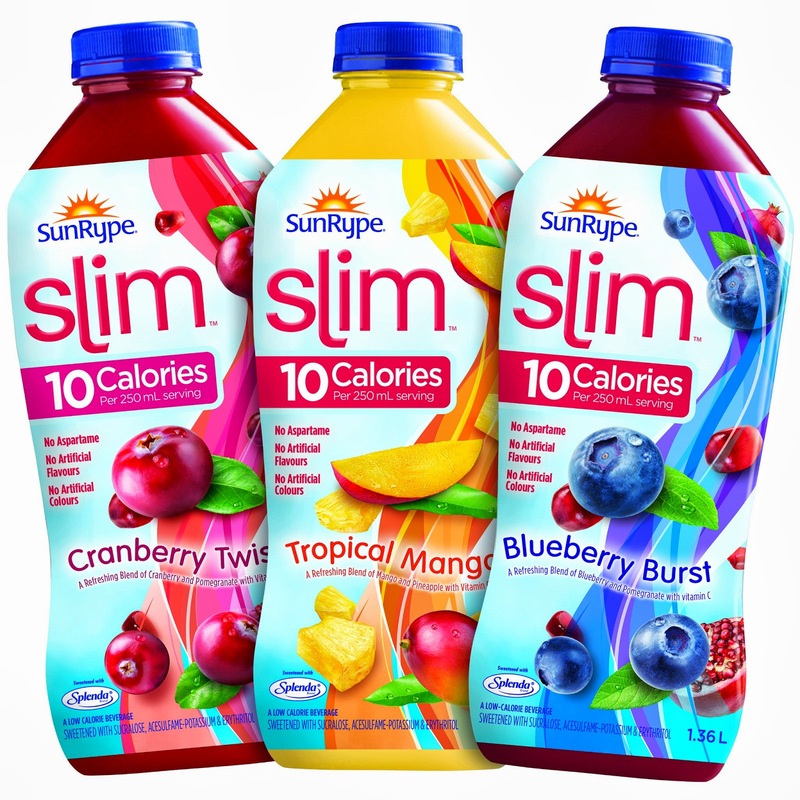 And with new flavors from SunRype Slim (Cranberry Twist, Blueberry Burst, and Tropical Mango) I know that my taste-buds are going to be having a filled day and that I can feel guilt free when drinking it. To find out more about the new Slim by SunRype check them out over on their website or on their Facebook page. Disclosure: This post is compensated. Although this post has generously been sponsored by SunRype through our ad network, Sheblogs Media, the opinions and language are all my own.